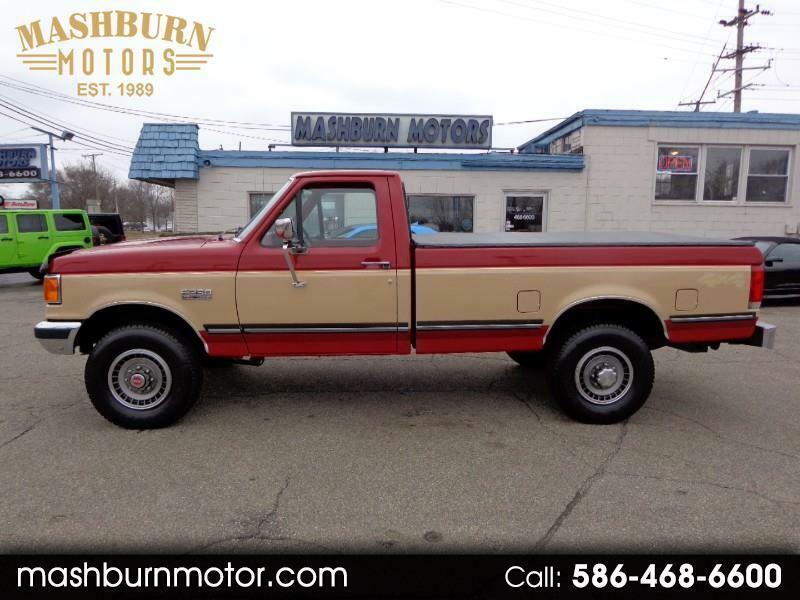 **2 owner**38,000 Original Miles**1991 Ford F-250HD 4X4 Regular Cab With 8 Foot Box. This truck spent 27 years in the north west before making its way to Michigan in 2018. Truck is SOLID!! Powered by a 7.5L EFI V8 (460 V8) and automatic trans. This is probably one of the cleanest, lowest mileage eighth gen Fords in the country. XLT Lariat Model equipped with power windows, locks, tilt, cruise, air conditioning, AM/FM Cassette clock Radio, Bright low-mount swing-away mirrors, Handling package, Auxiliary fuel tank, Tachometer, Chrome rear step bumper and tonneau cover. The paint and body of the truck is beautiful!! interior is beautiful and smoke free!! This old Ford is a MUST SEE!! Call Kevin for more. Message: Thought you might be interested in this 1991 Ford F-250.